She retired as a Field Laborer for Maui Pineapple Company, Ltd.Maria is survived by her sons, Juanito (Susan) Bayle, Eduardo (Cecilia) Bayle; daughters, Crisencia (Nelson) Celones, Benita (Jesus) Eusebio, Corazon (Carson) Cox, Imelda Bayle Castro, Rosita Bayle; 23 grandchildren and 22 great-grandchildren. She is predeceased by her sons, Nolasco Bayle and Braulio Bayle Jr.
Visitation will be from 6 p.m. to 9 p.m. on Tuesday, August 14, 2018 with a prayer service at 7 p.m. at St. Joseph’s Church. Second visitation will be held from 9 a.m. to 10 a.m. on Wednesday, August 15, 2018 at St. Joseph’s Church in Makawao. Mass will begin at 10 a.m. with burial to follow at 11 a.m. at St. Joseph’s Church Cemetery. Patricia Marie Ventura, 74 of Kula, passed away at her home on Wednesday, August 8th, 2018. She was born on March 17th,1944 in Puunene and raised in Kailua, Maui. Patricia is remembered for working many years at Liberty House and later retired from Macy’s. Her hobbies included gardening, crafting, traveling and classic cars. It was her and her husbands love for classic cars that inspired them to become the founders and Presidents of the Maui Classic Cruisers Car Club over 40 years ago.She is survived by her loving husband of 55 years, Kenneth Ventura; daughter, Desiree Ventura Jackman (Michael), numerous aunties and uncles, nieces and nephews and many God children. She is also predeceased by her daughter, Dawnette Ventura-Paxton and mother, Mary “Meta” Emmsley.Visitation will be held at Norman’s Mortuary on Friday, August 17, 2018 from 6:00 p.m.to 9:00 p.m. with prayer service to begin at 8:00 pm.Services will continue at Holy Ghost Church in Kula on Saturday, August 18, 2018 from 10:00 a.m. to 12:00 p.m. with Mass to begin at 12:00 p.m.
Gavilan “Gavi” N. Kepa’a was a beloved husband, father, brother, and friend. He passed away on August 6, 2018 at Maui Memorial Medical Center. He was born on February 13, 1949 in Honolulu to parents William Kepa’a and Clara Olival Kepa’a. Gavi resided on Hawai’i Island for much of his youth until graduating from Honoka’a High School. Upon graduation, Gavi was drafted into the U.S. Navy and received orders for Vietnam. He served in the Vietnam War as part of special forces with MACVSOG. After the war, Gavi lived on O’ahu until 1998, and then moved to Maui where he lived the remainder of his life. Gavi is survived by wife Christine Kepa’a, daughter Lauren Tam Sing (Tracy), son Dustin Torres, grandson Keahinōweo Tam Sing, brothers Glenn and Anthony Kepa’a and David, Wendell, and Terry Rodrigues, sisters Debbie Mejia and Gwendolyn Castro, hanai sister Janet Duey along with many nephews, nieces, cousins, friends, and other loved ones. He will be laid to rest with the other brave heroes at the Maui Veterans Cemetery in Makawao on Thursday, August 16, 2018 at 11am. No flowers, casual attire. Frank is survived by his wife, Gabriella Fernandez; son, Frank (Abilene) Fernandez Jr.; daughters, Joanne (Ernest) Cabral, Susie (Melvin) Mendes; six grandchildren and seven great-grandchildren.Private family services held. In lieu of donations, the family requests memorial contributions to be made to a charity or church of your choice. 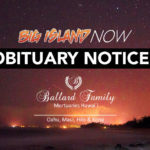 Elijah K. Kamalani, 18 of Kihei, passed away on August 1, 2018. He was born on May 5, 2000 in Wailuku. Visitation 9 a.m. to 10:30 a.m. on Saturday, August 11, 2018, at the Church of Jesus Christ of Latter Day Saints, Kahului West Stake Center, service will begin at 10:30 a.m., burial 12:30 p.m. at Valley Isle Memorial Park. Elijah is survived by his parents, David and Shawndelle Kamalani; siblings, Keloni (Kat) Kamalani, Sariah Kamalani, Enoch Kamalani, Sienna Kamalani, and Ezekiel Kamalani; grandparents, David and Kiyoko Kamalani, Everett and Carolyn Ferreira; great-grandmother, Eleanor Ferreira; uncles, Daniel (Kathi) Kamalani, Everett (Christopher) Ferreira Jr., Eli (Katie) Ferreira; aunties, Shannon (Marlon) Domingo, Sheri (Marcus) Lucas; and numerous cousins, nieces, and nephews. Grace Mariles Gumtang Agres, 63, of Kahului, Maui, passed away on July 27, 2018, at her home under Islands Hospice, with her loving family by her side. She was born on August 7, 1954, in the Philippines.Visitation will be held from 6:00 p.m. to 7:00 p.m. on Friday, August 17, 2018, at Christ the King Church Kahului; mass will begin at 7:00 p.m. Service and burial will also be held in the Philippines at a later date. Norman’s Mortuary is assisting with arrangements.Grace was a retired cashier at Walmart Kahului. She is survived by her loving husband, Palmarin Agres; son, Jan Marc Agres (Jessica Lorenzo); daughters, Danica Suerte Agres (Eric Lopez), Carmina Agres Lucas (Augie), Noelle Christianne Agres, Shaeanne Ocampo; sisters, Joybelle Agustin (Reynaldo), Leticia Rafada; nephew, Joel Anthony; sisters-in-law, Marina Pillos (Danilo), Aida Agres, Marissa Agres; brothers-in-law, Liliberth Agres, Gregson Agres, Butch Agres, Bruzel Agres; and grandchildren, Kaipu, Theo, Aden and Bea.The family expresses gratitude for the support and care received form Islands Hospice Home during this difficult time.